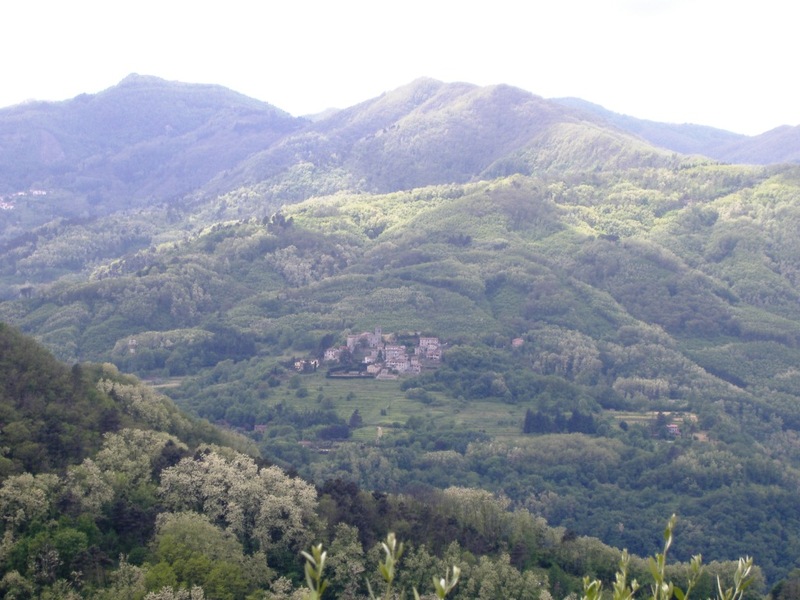 On one of our days in Bagni di Lucca we heard about a quaint little village up the mountain from Ponte a Serraglio. After asking a few questions we learned that we could take the local bus up to this village, Lugliano. We decided that we would take the bus up, have a wander around, stop for a coffee and possibly even stay for lunch. Anyone who has been to Lugliano will be smiling at this stage. Lugliano is a very small village with a very small population. There is no cafe or bar and most definitely nowhere to have lunch. It did not take us long to wander around exploring this darling little village and to see it all. We actually did not see a soul as it was a cold windy day and it would seem that everyone was tucked away in their little homes. After exploring we headed back to the bus stop to take the bus to return to our village, only to learn that there would not be a bus returning to Ponte a Serraglio for several hours. Mama Mia, what should we do. It was too far for us to walk back down so we decided that we would hitch a ride with a local. Now that is another funny joke. How many locals do you think drove past us as we were trying to catch a ride? It did not take long for the word to get around the village that 3 Aussie visitors were stranded at the bus stop trying to get a ride back down the mountain. Soon the older ladies of the village started arriving to the bus stop to sit and watch us. They were friendly and smiled a lot with us but of course they spoke only Italian, but of course, and my Italian was not great. It actually turned in to a very funny and pleasant visit. Then as we were preparing to settle in for the next few hours in this very cold hilltop town along came the bus. It was a very nice surprise as it did not appear to be scheduled till later in the afternoon. So with lots of smiles and waving we bid farewell to our new friends, the lovely little ladies from Lugliano and hopped on the bus to return to our village. We have been to many such small towns. We always found a bar but not a restaurant. They are charming. Possibly there is a bar there but every thing was closed on the day we were there. Great to chat with you. Here is the link to Soogle http://www.soogle.com.au, take a look at the magazines and have a look around the site. Letâs have a coffee next week. What a wonderful little place, but really not bar or cafe. Unthinkable in Italy. Alls well that ends well. The pleasant villagers sounded delightful and I’m sure you made their day. A pleasant addition to the book of memories. Aww, so sweet. Glad you had it all by yourself! There is a shop in Lugliano, perhaps it was just not open when you were there. They probably would have made you a coffee and a sandwich. Lovely little interlude. So important to just put yourself out there when you visit Italy. I like that you are open to whatever happens! 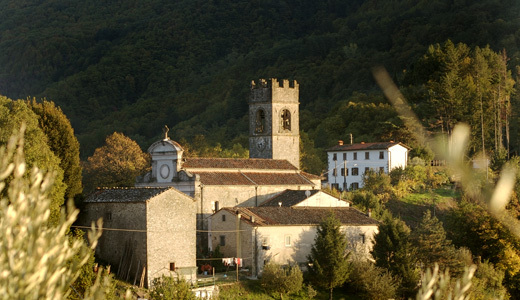 We live in a very small village named Tret at the very top of the Val di Non (Trento Province). We know what small is all about! Grazie mille! Hello Lyn, thank you for liking my post about Montecatini Alto. I enjoyed reading your post on Lugliano and I’m glad to know others who enjoy exploring small towns and villages in Italy. Hi Lyn, thank you for liking my post on Montecatini Alto. I’m glad to get to know other people who enjoy exploring small towns and villages in Italy. Hi Luna. Nice to hear from you. I actually prefer the small towns and villages in Italy to the large cities. If I never return to the big tourist places again, I will be happy.